The first week of March I was together with a few other XNA MVPs at the Microsoft MVP Summit 2011 in Seattle. I’d love to be able to tell you stuff we’ve learned there, or as Andy would also wish, to be able to tell you news about current issues you all know with XBLIG and the Creator’s Club AppHub site and forums. All guys present there were careful to repeatedly remind the team of the issues (especially George). Of course, bound by our NDA’s we can’t share stuff we found out, but maybe we can tell you some things that might put you at ease. 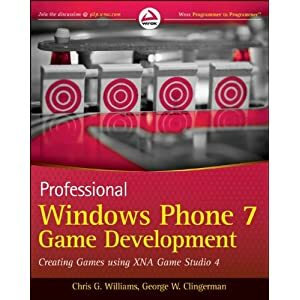 Yes, Microsoft is not always moving as fast as we’d wish; Yes, there are pressing issues with the site; Yes, on some points they are behind the competition at this point… but I feel that YES, these (XNA, WP7, XBLIG) are awesome platforms to be on, only getting stronger, and having a great future. On a personal note, this was a good summit. I had a great time with the other MVPs and met some great people in Microsoft, who I want to thank for their time and effort. It’s a fantastic book, the writing style is fun, which makes it a real pleasure to read. And on the technical side, being written by these two guys, it’s probably the best you can get on the subject. The single complaint is that the tattoo didn’t make it on the cover. hi, i know you are one of the organizer of the sgtconker.com. i cant talk with then (cant post comments on site –php error) and cant send mail (come back with error). Hi, please drop me an email at catalinzima@gmail.com and I’ll what I can do.